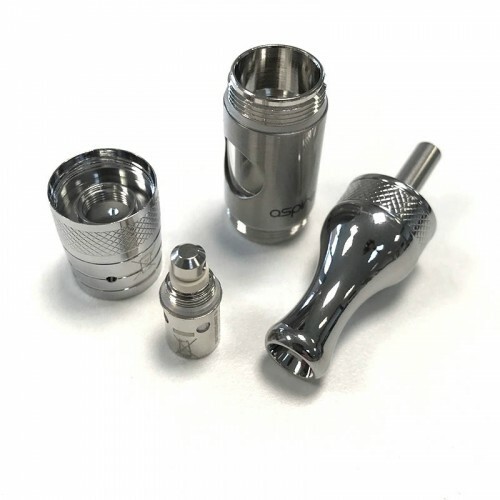 The Aspire ET-S BVC is an upgraded version of ET BDC, it has an exterior stainless steel metal sleeve surrounding the tank with two small windows that allow you to see how much liquid is left in the tank at all times. The Aspire ET-S BVC pyrex tank features a replaceable bottom dual coil head and a tank that holds approximately 2ml (TPD Compliant) of e-liquid for less frequent filling. The pyrex tank is easily disassembled and reassembled, making cleaning and refilling quick and simple.